Ah, summer! If you’re looking for some excellent diversions, WordPress.com is the place to be. The hot months will soon arrive in the Northern Hemisphere and if you’re like us, you’re planning a little time off from your regular routine. We’ve got some sites to inspire you to make new dishes, read new books, and even appreciate an age-old form of entertainment. No matter your passion, there’s an active WordPress.com community talking about your interests. 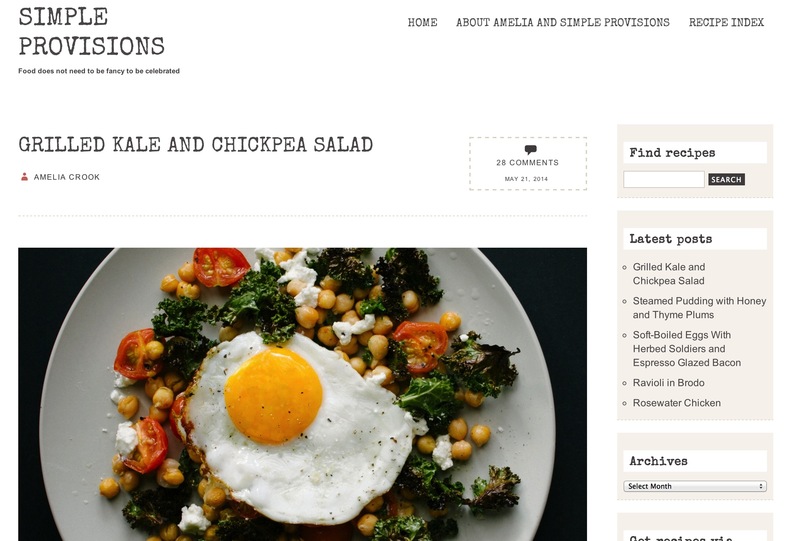 If you’re looking for easy and delicious meals, Amelia Crook, the blogger at Simple Provisions , has you covered. According to Amelia, “Food does not need to be fancy to be celebrated,” and we couldn’t agree more. We’re planning to celebrate her grilled kale and chickpea salad for starters and could easily lose ourselves in her culinary wonderland. Is time spent with a good book part of your summer agenda? Check out The Savvy Reader for book reviews and recommendations for teens and adults. If you’re still looking for your beach blanket book, don’t miss their Top Ten Summer Reads, 2014. 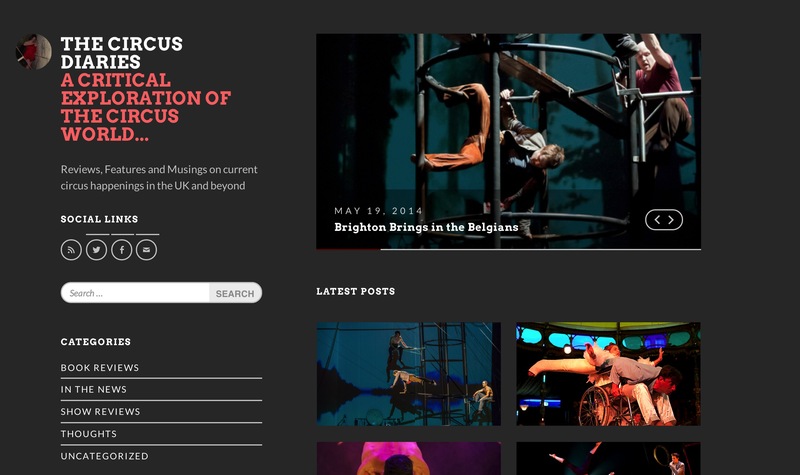 If you’re looking for a diversion for the whole family, consider the The Circus Diaries — a site dedicated to critical commentary on circus performance in the United Kingdom and beyond. Peruse great book reviews dedicated to circus performance, check out their show reviews, and be amazed by video snapshots of circus performances. When you get a bit of downtime, what are your go-to sites on WordPress.com for diversion and entertainment? Tell us about your favorites in the comments. I have one question: what do you call the type of header this post has? and can you do it on themes other than illustratr? that look seems to be the new trend, and I want it! The image at the top of the page is called a featured image. Here are all the themes that support featured images. Try day treks around the Pioneer Valley of Massachusetts and beyond. Ah! Summer. In Mumbai, India, I am too busy wiping the perspiration off my brow to do much else. We consider it a cool day when it’s 20C or 68F. I love to check out DIY blogs. I like to print off a lot of great ideas to save them for later. Later never seems to come before the end of summer. Thanks for your post. I really love The Savvy Reader’s theme. Just spent five minutes on “The Savvy Reader” and I can tell it will become one of my favorites. Great visually, fantastic content, and enough substance to keep me reading for awhile. Summer distractions is the WORD! My blog site would be a lot further along but I got it going just in the nick of time for gardening season! Guess what I do? A lot of gardening! Plus all of the other outdoor activities. But just think of the stories I’ll have to tell when all is said and done and the rain returns to the Great Northwest. Have fun everyone! Including a seriously drool worthy lemon meringue tart. Hey Krista – thanks so much for featuring my site! A lovely surprise! Thanks for sharing your awesome recipes with us! Sadly, I’m never bored these last number of years. I long for the days when I could get lost in a book and will look forward to this being the case again if I can ever get away from my computer. I’m addicted! I love the featured image!!! Ooh! 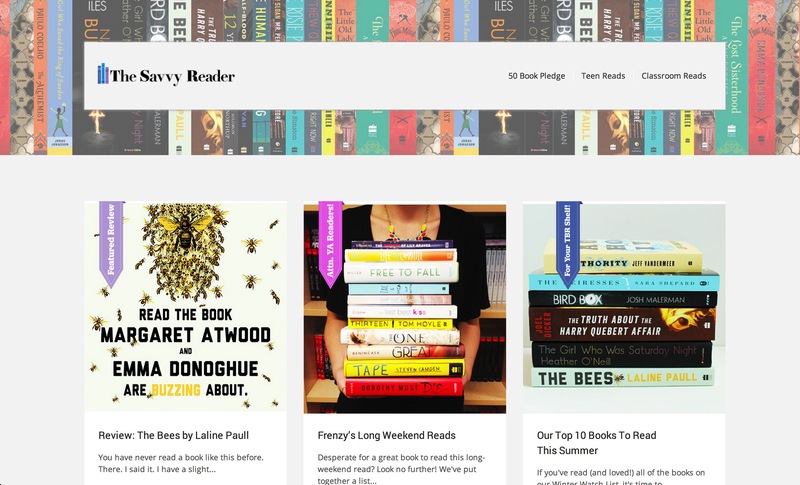 Just took a quick browse through The Savvy Reader and I’m really enjoying it! Immediately followed and will try to tackle reading some of the books they recommend after I finish reading all five Game of Thrones books.